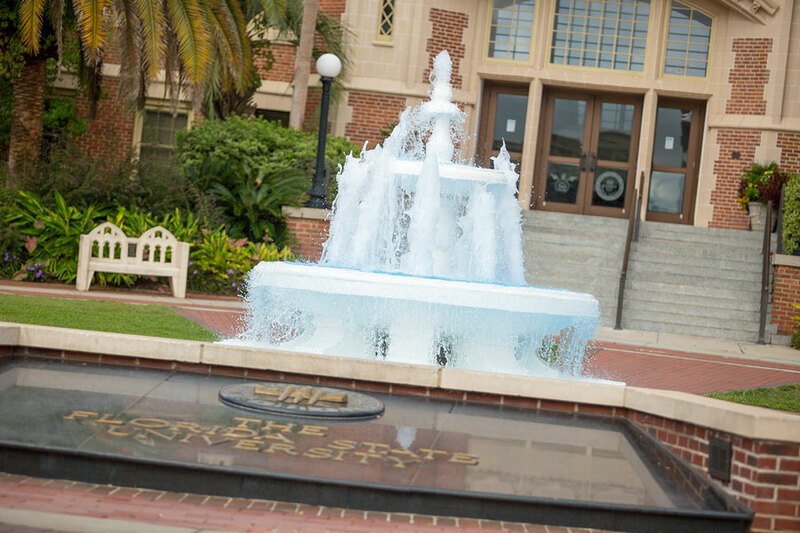 The Westcott Fountain was a joint gift from the Florida State College for Women classes of 1915 and 1917 and graced the plaza for over 70 years. 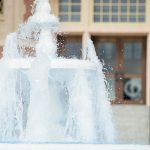 The fountain was renovated in 1982 in remembrance of Professor Anna Forbes Liddell (1891-1979), a Robert O. Lawton Distinguished Professor of Philosophy. During the summer of 1988, the support structure failed and an exact replica of the original fountain was installed. 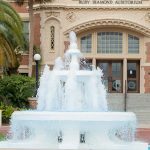 Since its initial installation in 1917, the fountain has been a symbol of Florida State University’s proud heritage and pays homage to those who came before. There are many stories, traditions and myths surrounding the fountain. One such tradition is getting dunked into the fountain on your twenty-first birthday. 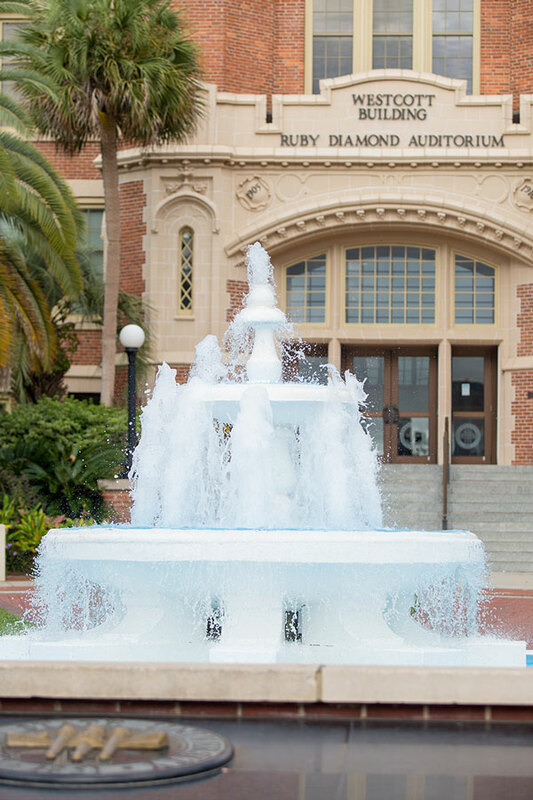 This has been a long-standing tradition at Florida State University, and it has been said that you are not truly a Florida State Seminole until you have been thrown into the Westcott Fountain. During the 1830s, the area surrounding Westcott Plaza was known as “Gallows Hill,” a site of executions. 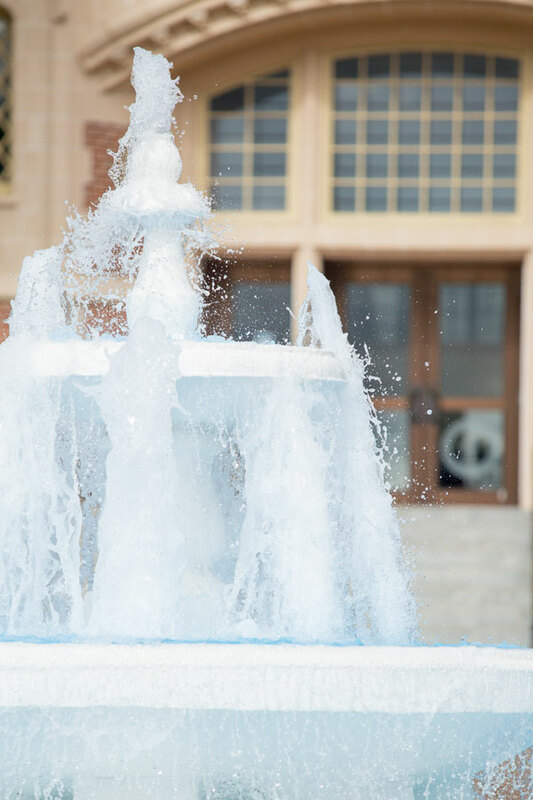 It is not uncommon to encounter a Florida State student who has heard strange sounds or seen unusual things at Westcott fountain. No one in the classes of 1915 and 1917 envisioned how important a symbol the Fountain would become. Surrounded by busy students, faculty and staff, ghost stories and the occasional pinning ceremony, engagement or prank, it has truly earned its place in FSU history. The commemorative brick plaza surrounding the fountain originated as a project of the classes of 1996 and 1997. It was constructed in 1998 with donations from the classes and from other alumni, students, faculty, staff and friends of the university. The plaza is home to countless celebrations and photo opportunities and bricks commemorating names, dates and special accomplishments continue to be installed each semester. The Brick Program is administered by the FSU Alumni Association. In front of the fountain, as you look toward downtown Tallahassee, is the iron arch marking Florida State’s campus border.